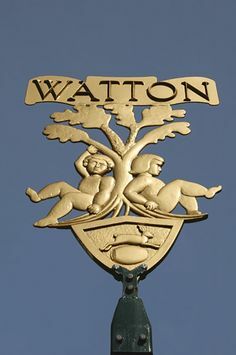 Watton is 21 miles west of Norwich, with the Broads and the East Coast not far away, and is the smallest of Breckland’s five towns. The Parish Church of St Mary dates from the 12th Century and has a Norman tower with an octagonal belfry. On the town sign are the two ‘babes’ from the popular fairytale. It is said that the nearby Wayland Wood is where the two ‘babes in the wood’ unfortunately met their fate. The hare (wat) and barrel (tun) also feature on the town sign showing the derivation of the town name.